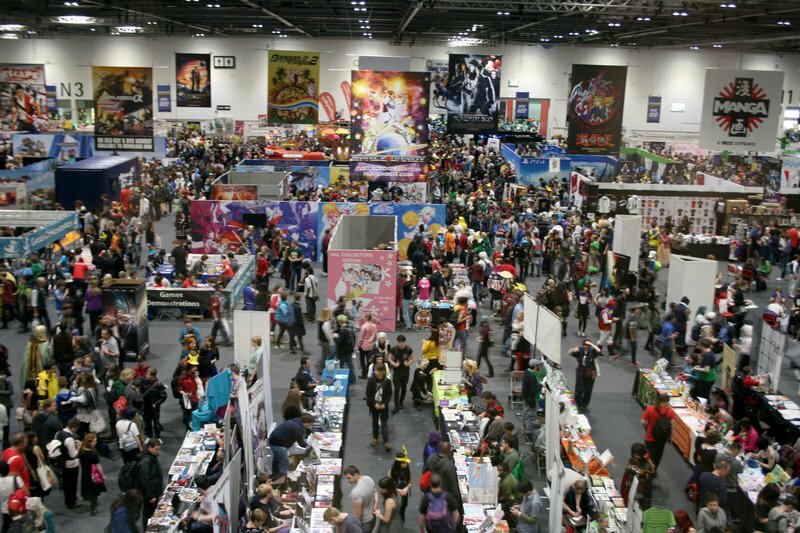 London Film and Comic Con July 2014 took place on one of the hottest weekends of the year; purchasing a bottle on water inside Earl’s Court was £4 per bottle. Just outside the venue and round the corner, however, it was £1. Still not an amazing price considering that walking around on a hot day, in a crowded hall (which makes it even hotter) you will go through water quickly. The last thing you want is to suffer dehydration whilst browsing and stuck in a huge hall full to the brim with people. So bring several bottles with you. On a cooler day you may only need the one but if you’re going with friends, chances are that at least one of them will forget theirs and you can be the best friend swooping in to save their hides. Once you’ve finished them, keep at least one bottle with you, some places have fountains to refill, or if you’re coming back the next day you can replenish at home and recycle. Good for the environment and all that jazz. Like water, food is always expensive at cons and there will be long queues wherever you go, so save your money and pack your lunch beforehand. Keep it simple (e.g. sandwiches, crisps, Twinkies) and wrap it inside either foil or disposable sandwiches bags so they can be easily thrown away after eating, you don’t want to be lugging Tupperware all day! If you’re going to a specialist convention, for example Hyper Japan, which will have cultural food you wish to try, you may wish not to. However snacks are still recommended to keep you going in between. Posing for cosplay pictures is hungry work, yo. This is recommended for large groups, especially those with kids. Yes, I know it’s the 21st century and we all have mobile phones now; but just because you have WhatsApp, texting, twitter or whatever messaging apps on your phone – it doesn’t mean the messages always get through straight away. Signals can be poor, Wi-Fi unreliable, or a phone, stuffed at the bottom of a bag, can’t be heard amongst the crowd. Walkie-talkies do one thing only: talk to the person on the other side. They can be clipped to your waist, therefore easier to pick up and hear if someone starts talking. It merely provides another form of communication in case the group gets separated, plans to meet up suddenly change, or, worst case scenario, something goes wrong. Bring your phones of course, but having an extra form of getting in contact is never a bad addition; besides you can give yourself cool code names. You can use one as a bin bag over lunch, dump everyone’s trash into it, throw it away, and continue on, now lighter than before! Who wants to pay the additional 5p charge anyway? Don’t you hate those money machines that charge you to withdraw cash? Don’t you hate it even more when you have to queue to use one? Bad news: the convention is likely to have both, so withdraw money you need to save on that headache. It’s also recommended if you’re on a budget and don’t want to overspend; withdraw the max you can use and stick to it. Some stalls can use card, but not all of them, and due to some stalls being at the far back of the halls, the signal to the machine can suffer. So bring cash, store cards just in case; don’t add queuing time when you could be shopping! This is a no-brainer for those who travel in and out of London regularly and are aware of how annoyingly unreliable they can be. Regardless of where it is, check the week beforehand, the day before AND the morning of. Weekend works are a common thing and signalling problems a frequent occurrence. If you check before leaving, you’re less likely to be surprised and can come up with an alternative solution (like walking…shock horror, I know). It’s very easy to go into a convention and be swept away by all the shiny objects on sale…buy an odd thing here and there…and that’s how you lose your months’ salary. Before you go, write down exactly what you’re after so you don’t get sidetracked; after getting what you want, THEN you can browse. If you’re unsure of what to buy, another alternative is to write down the next manga or anime volume(s) you need from the series you’re currently reading/watching. Even if the series is out of print, because you never know what you might find. Also, any birthdays coming up? Write down what they like and see if you spot anything unusual in the convention is pick up. It doesn’t matter how prepared your group is, you will most likely split up at one point. Whether it’s to see different parts of the convention, or just simply huge crowds forcing you to split up whilst browsing the stalls. If you get hideously lost or just want to break away, have the WHOLE group agree on one, very obvious, location and time to meet up (such as lunch time) and then depart. Stick with the location and time, do not be late or change the location without the whole groups consent; the last thing you want is to hold up your friends or cause them to worry about you when its unnecessary. You would hate it if it was done to you; if you’re in the midst of shopping when the time to meet up approaches, take a note of the stall’s location and come back. We all know huge crowds, everyone barging each other to see the same items, queuing to get into the hall and paying out loads of money are, by themselves, not fun at all. You will have most likely forked out a lot to be there, but keep in mind that so has everyone else. So take it as part of the experience, and just have a good time! Buy yourselves a little something, say hello to fellow fans, enjoy the environment, and go home safely, regretting nothing.